While we were packing for Hurricane Irma I had an “a-ha” moment about attachment and about the things that we owned. Before the storm we were warned that the island might go underwater, so we should pack anything that was important. Whatever we didn’t bring and wanted to save, we should wrap up well and put in high spaces. There was very little that we chose to pack or wrap. We brought enough supplies so that if we had to “start over” somewhere else, we would have enough clothes and things so that we didn’t feel like we had nothing. I also packed some favorite colored pencils (Polychromos) and my favorite watercolor palette. My engagement ring. My lamb doll (Burnett) from when I was a baby. To be honest, all I really care about inside this house is the lives in it- Tom, Grace, and the pets. We wrapped and stowed some costly and useful things, like our computers. I wrapped some of my watercolor paper and my other watercolor palettes, some of my colored pencils, and my oil pastels. I didn’t even think to wrap my art or scrapbooks or my art journals. As I thought about what to pack and what to stow, I kept looking around the house and asking myself “would I REALLY be devastated if I lost this?” or “Would I immediately replace this if we lost it?” and the answer was overwhelmingly NO to almost everything I saw. Literally 80 percent of our stuff could be flooded and ruined, and it wouldn’t make a difference in our day to day lives- I wouldn’t replace those things. I wouldn’t even mourn them. 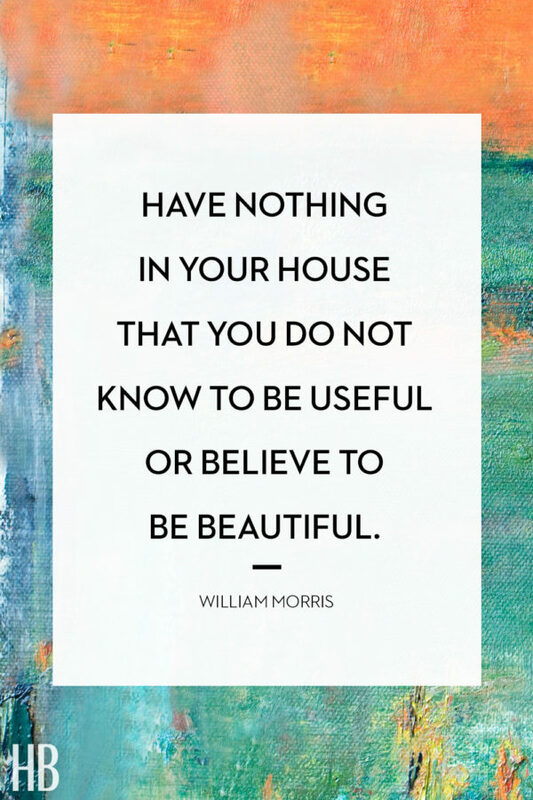 We’re not hoarders- I actually am pretty obsessive about going through our stuff and knowing what’s there, getting rid of what’s not working, and keeping it all very neat and organized and put away. Plus, we live in Florida, and paper and clutter and piles of stuff attracts bugs, and I’m not actively looking to provide hiding spots for bugs if they make it inside the house. But the hurricane was kind of a forced perspective that I couldn’t have gotten in day-to-day life: I felt a very sudden and complete rift from everything in the house that I wasn’t connected to. It was like the hurricane drew a line in the sand for me and pointed out all the things I had a cling-y attachment to versus all the things I really felt connected to. And I wanted the attachment stuff gone. It couldn’t happen soon enough. “Attachment” and “connection” are two very different things. What I mean by “attachment” is holding on to something that is “past its prime”- holding on to something because it might someday have meaning or value, or it once had meaning or value. It’s something we do out of fear, in a way. Afraid to let go. Afraid of letting go of the emotions that we attach to the thing we are holding on to. Afraid of the feelings that might come up as part of letting go. For me, it’s always been a lot of guilt or a feeling of scarcity. “Connection” is a real, living feeling- a transaction that is real-time. If you have a connection with something, it’s current, and it has a measurable place in our daily lives. An example is maybe a tube of paint. Even though I don’t really love the color anymore, or maybe the paint isn’t the best quality, or I actually have another tube of paint I like better in a similar color, I hang on to that older tube because it’s still got a lot of paint in it and I spent money on it. Or my college textbooks. A few of them are full of my underlines and doodles, and they are a physical reminder of the years in college and grad school. They cost a ton of money when I first bought them, but I’ll never read them again, or even refer to most of them again. Even though they are completely outdated and have no value anymore, I just keep them on your bookshelf because we have the room for them. I was doing that with tons of things. I used to be an adamant defender of having carefully curated collections of stuff. When people told me they wished they could pare their belongings down to what might fit in a backpack, I thought they were insane. But as I’ve gotten older and sort of honed in on what causes me stress and anxiety, I realized that having too many choices really overwhelms me. Last year, I started feeling hesitant to come in my studio and make art. I’ve always struggled with inertia and creative block, but this was different. I even started asking myself if I was really interested in making art at all anymore, or if I was doing it simply out of habit or obligation. I thought about for a few days and discovered that my art studio felt really overwhelming and too jammed up with stuff. But it wasn’t only about too much stuff, but also the kind of stuff I had. First of all, I had a lot of “trendy” supplies. Innovative stuff that gets released and everyone gets it and YouTubes and Instagrams stuff they made with it, so I asked for it for Christmas or whatever, got it, and then never used it because it was just the kind of supply I’d never used. Like Panpastels. I HATE dust and debris. But the beautiful little cakes of color called to me, and I couldn’t resist asking for a set of them for my birthday. But I’ve rarely used them, and when I did it felt grimy and I hated the process of having to fix them with spray fixative, etc. SO WHY WAS I KEEPING THEM? Because they cost so much. But they were taking up room and making me feel so freaking guilty! That’s the stuff I mean. I also realized that I had a bad habit of buying cheap supplies- not necessarily because they were a good deal but because I didn’t feel like I “deserved” the good stuff. So I’d buy the cheap stuff instead. But then if I used the cheap supply and I liked it, I’d let myself go ahead and get the expensive version. And instead of donating the cheaper alternative it replaced right away, I would keep both, because the cheaper version still had some life in it and because I spent the money on it and I felt really guilty about it. I was literally wasting money by buying the cheap stuff to begin with. This was eye opening to me. It spoke a lot to my relationship with money and also my opinion of myself. I needed to let the whole guilt and shame thing go, and I needed to realize that making art isn’t about talent or validity, it’s something I do because for some reason I need to do it. Just recognizing all this changed the way I buy things- now I always buy open stock (one colored pencil instead of a set, one oil pastel instead of the box of 70, one tube of watercolor paint instead of a palette, etc.) first to see if I like something, and then I’ll go ahead and invest in the whole shebang if I REALLY LOVE the single item. I find that by going ahead and getting a good set of some supply off the bat, it totally shuts down my desire to add any more of that supply to my collection. But if I got the cheap set first, I’d keep looking at the quality sets and still wanting them. I hope that makes sense. By buying the more expensive set right away, I was basically saving money and space. I also realized that I had a habit or buying *too much* of a good thing. Last year I decided I love acrylic painting enough that I would splurge on a rainbow of unusual and beautiful colors. I will admit, the process of choosing the paints was so much fun- researching pigments and companies and paint qualities, comparing hundreds of colors, deciding which colors to get, ordering the tubes from different vendors and online shops, waiting for them to arrive, and then swatching them out, putting them with my supplies, and then opening the drawer to see a rainbow of beautiful colors in there, all ready for me to paint with. However, after I got all those paints, I realized I was painting a lot less. WTF. I couldn’t figure it out- wouldn’t having all that paint make it easier now that I didn’t have to spend time figuring out how to mix a color I was hoping for? Wouldn’t just opening the drawer and grabbing a beautiful color inspire me to pick up a paint brush and make something with that color? You’d think having two drawers full of different paint colors would be an artist’s dream, but I found that the more options I had, the more indecisive I became when I painted, and then painting started to feel like agony because I would be paralyzed by indecision before I even picked up the brush. I would agonize over *what* color to use, pulling each one out and weighing the pros and cons, etc. Often I wouldn’t be able to make a decision, so I wouldn’t paint at all. Then I started dreading that process, so I stopped wanting to paint altogether. And I was worried I had totally lost interest. Painting went from being something I loved to something that I had an adverse physical reaction to doing. I realized that if I only had a few colors, and they were colors I loved and used and felt comfortable with (a lot of art supplies are intimidating, especially if they are beautiful to you- you feel like you are somehow defiling them by using them the wrong way), then picking would be easier. Duh. Luckily, Tom’s sister and brother-in-law have both recently started painting and they haven’t yet invested in a lot of supplies while they are learning, so I took a bunch of my paints and packed them up in a box for them and sent it off to them. Total win-win. And the best part is those paints are going to be used and loved. Anyway, I realized that this “agonizing over decisions” was happening pretty much everywhere in my life where I had an abundance of choices. So I wanted to pare down in all areas of my life, not just in my studio. I love this quote. I am often overwhelmed in “stuff”, especially in my art studio. I strive to live with less “stuff” all the time. We’ll be moving in the near future. So this post is quite relevant. I haven’t embroidered in, what? Seven years? But I still have all this embroidery thread and lovely fabric that I don’t want to let go of because (ahem) I might want to do it again someday. My husband is kind of a hoarder. It’s going to be hard to get him motivated to toss a lot of stuff, though he’s said stuff like “we might need a dumpster.” We shall see.